The Fifth Space offers staff of disability services a new kind of role and experience. 20% paid time + a team + support to do Research & Development. Try out ideas that matter to you & the people you serve. It’s been six-months since we rolled out the R.V and recruited 29 frontline, mid-level, and senior staff to join the Fifth Space. Since then, Fellows have formed six teams; left the office to do ethnographic field work; generated hundreds of ideas; and prototyped six new solutions to six different pain points. 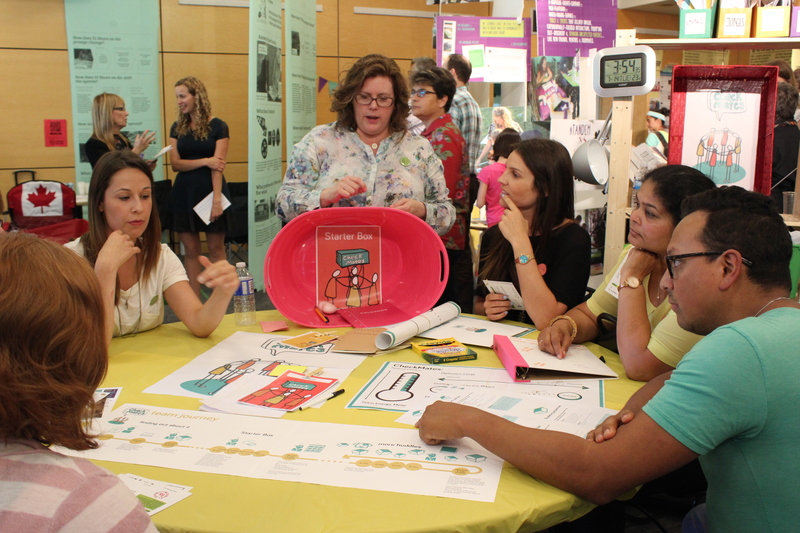 On July 14th, we created a pop-up exhibition and had over 150 folks give us feedback. Stay tuned for a virtual tour from Demo Day. In the meantime, download our latest Fifth Space newsletter to see all the teams in action. The Fifth Space is brought to you by the Burnaby Association for Community Inclusion, posAbilities, Simon Fraser Society for Community Living, and InWithForward.